Bayern Munich are to spend £75,000 subsidising the cost of fans’ tickets for their upcoming Champions League away match with Arsenal as a thank you for their support during a record-breaking 2013. The defending champions received 18,000 applications for just 2,974 tickets for the round of 16, first leg match at the Emirates on February 19. But because tickets cost £62 (€75) each, significantly more expensive than the average German prices, Bayern are to pay £24.80 (€30) towards the cost of each one as a goodwill gesture. 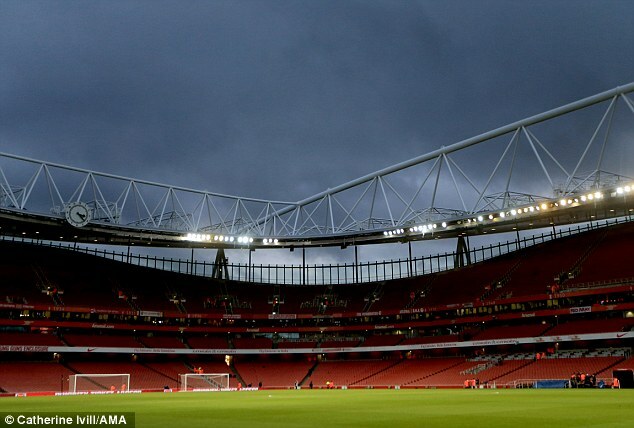 In a message posted on the club’s website on Wednesday, they said: ‘For the 2,974 tickets made available by Arsenal, we have received 18,000 orders. The ticket price asked by Arsenal is £62 (€75) each. 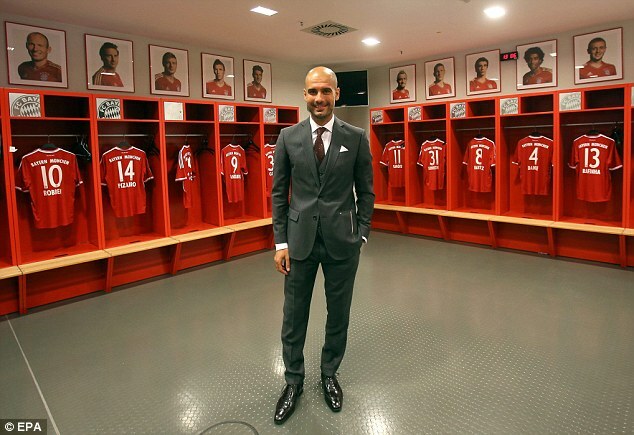 ‘The terrific support of the fans lifted Bayern [last year]. Particularly noteworthy is the large number of Bayern fans who not only supported the highlights, but were at every game. It continues: ‘Bayern has therefore decided to subsidise the tickets for the away game at Arsenal with nearly €90,000. ‘Thus every Bayern fan who buy a ticket for the game in London on February 19 will pay only €45 (instead of the regular €75). 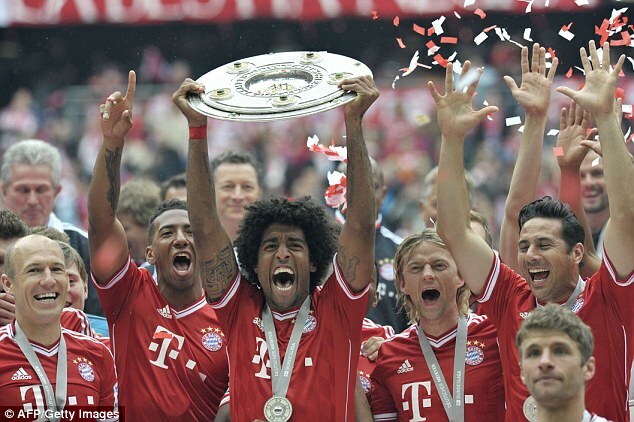 Bayern won the Bundesliga title and the German Cup in addition to the Champions League, where they beat Borussia Dortmund 2-1 in the final at Wembley. The near-3,000 Bayern fans who travel over to London will hope for a repeat of last year’s first leg at the same stage of the competition, when Bayern dominated and won 3-1. Although Arsenal won the second leg in the Allianz Arena 2-0, they went out on the away goals rule. Tickets for the second leg of the Arsenal tie, at the Allianz on March 11, tickets are priced from £12 to £50. The gesture is just the latest example of how German football clubs lead the way in treatment of their fans. Season tickets and matchday prices are considerably lower in the Bundesliga than the Premier League, with access to top flight games costing as little as £10. The cheapest Bayern season ticket, for a place on the safe standing section behind the goal, costs just £104. 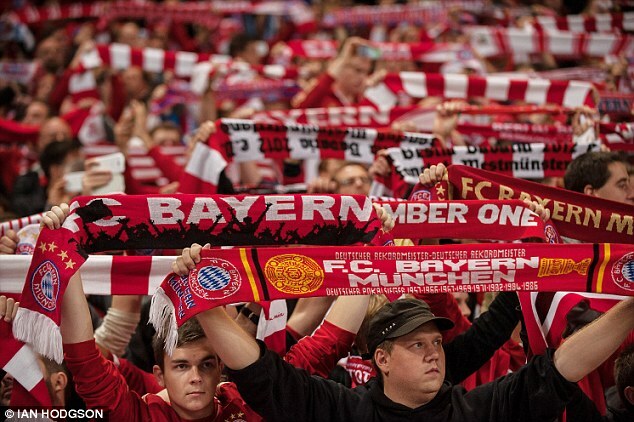 Nordi Chaoui-Taylor, a spokesman for Arsenal fans group “Black Scarf Movement” said: ‘We commend Bayern’s gesture and once again this demonstrates that in Germany, the core support of clubs is truly recognised and taken care of. ‘In this country it seems as if clubs are more focused on greed, looking to take their own fans for as much as they possibly can. In November, the BSM handed out leaflets at the Arsenal AGM which contained a quote from Bayern president Uli Hoeness on the subject of ticket prices. Neatly summing up the differences between English and German attitudes, the Hoeness went on record in 2012 to say: ‘We could charge more than £104. Let’s say we charged £300. We’d get £2million more in income but what’s £2m to us? ‘In a transfer discussion you argue about that sum for five minutes. But the difference between £104 and £300 is huge for the fan. ‘We do not think the fans are like cows, who you milk. Football has got to be for everybody.